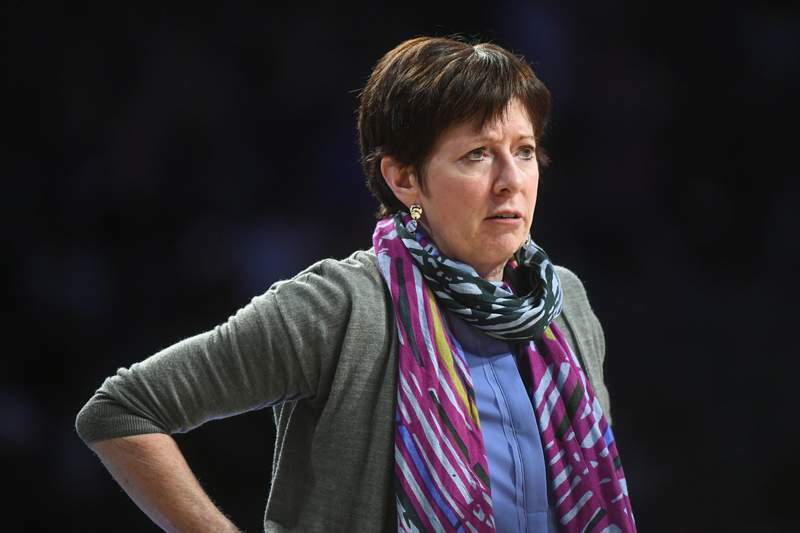 Associated Press Notre Dame head coach Muffet McGraw's team has reclaimed its No. 1 ranking after losing earlier this season to UConn. LOUISVILLE, Ky. – No. 2 Louisville looks to make history if the Cardinals can continue their recent mastery of top-ranked Notre Dame. The Cardinals are just 1-10 all-time when playing the nation's top-ranked team. That lone victory was an upset against top-seeded Baylor in the 2013 NCAA Tournament Sweet 16. The record doesn't bode well for Louisville (14-0, 2-0 Atlantic Coast Conference) entering tonight's showdown at Notre Dame, which has played in seven 1-2 matchups and is just a month removed from its latest one – an 89-71 loss to UConn. If, and that's a big if, Louisville can ascend to the top spot the Cardinals would have to clear another hurdle on Jan. 31 – when No. 3 UConn visits the Bluegrass State – to hang onto it. In the end, the Cardinals' NCAA title quest fell short once again – this time in a 73-63 overtime loss to Mississippi State in the Final Four. Walz was not happy about how things ended and the NCAA ultimately suspended him for one game of this year's tournament for comments made toward committee members and staff during that game.